As a gamer I look forward to see what ASUS has in store they are one of the few that has laptops and tablets that can stand up to the abuse I put my gadgets through, well ASUS has launched its first quad-core LTE capable tablet, featuring a choice of AT&T data plans that provide on the go access to the internet, email, and your company network. The Transformer Pad TF300TL is designed as the ideal mobile entertainment and gaming platform. With suggested retail price starting at $449 (16GB storage) and an optional mobile dock accessory priced at $149, the ASUS Transformer Pad TF300TL, connected by AT&T, is the best choice for connected anytime and anywhere entertainment. Stay connected to the nation’s largest 4G network so you don’t miss what matters. With new AT&T Mobile Share plans, AT&T customers can share a single bucket of data across smartphones, tablets, and other compatible devices to build a plan to fit their devices and usage. Customers can select one of the new Mobile Share plans or choose one of AT&T’s existing DataConnect plans, which come with unlimited basic Wi-Fi usage at more than 30,000 AT&T Wi-Fi hotspots4 nationwide when you sign up for an AT&T data plan. Featuring a slim form factor and extremely comfortable grip, the Transformer Pad TF300TL makes watching movies, surfing the web, playing games, taking photos, finishing up homework, delivering a presentation or video chatting with friends or family so easy and natural that you’ll wonder if the TF300TL was designed specifically with you in mind. The Transformer Pad TF300TL feature NVIDIA’s next-generation quad-core Tegra 3 processor. With the quad-core CPU, 12-core GeForce GPU and vSMP technology, the TF300TL delivers lightning fast app loading, a rich and fluid web experience, full 1080P HD video for realistic media playback or recording and of course, incredible mobile gaming performance that allows you to experience games in an entirely new way . 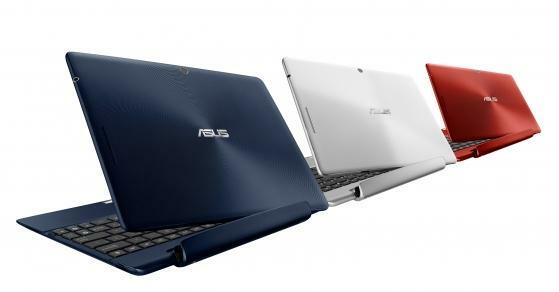 While the Transformer Pad TF300TL is slim and light, ASUS did not forget about battery life. Thanks to the advanced power management features of the Tegra® 3 processor and ASUS optimizations the Transformer Pad TF300TL has a battery life of up to 9 hours, but when combined with the mobile dock, it lasts up to an incredible 14 hours2. The ASUS Transformer Pad TF300TL boasts a wide 178° viewing angle IPS display. This high-resolution 10.1” WXGA (1280×800) display offers a remarkably vivid and brilliant viewing experience of photos, books, videos, games, and more. Thanks to Multi-Touch technology, you can use your fingers to do everything from swiping through photos, surfing the web, playing the latest games, typing emails, instant messaging, reading books or magazines, and starting your favorite movie. A 1.2MP front camera allows for instant photos or high-quality video conferencing with friends, family or coworkers while an 8MP rear camera with auto-focus takes stunning photos or video thanks to a large F2.2 aperture, 5-element lens to provide clear and sharp photos or even 1080P HD videos. The Transformer Pad TF300TL is offered with either 16GB or 32GB flash storage options for quick, efficient and reliable access to your applications along with 8GB of free online storage at ASUS WebStorage. Both models feature 802.11 b/g/n wireless technology, integrated Bluetooth 3.0, a micro SD card slot, 3.5mm combo audio jack and micro HDMI port so sharing both what’s inside and on-screen is quick and easy. However, the function that gives the Transformer Pad its namesake is the mobile dock, which gives new meaning to the term versatility. This innovative and convenient design seamlessly provides the user with a keyboard and touchpad for superior content creation capabilities, longer battery life and incredible expandability options via the USB port and SD card slot. Over 600,000 applications and games are available at Google Play that take advantage of the Transformer Pad’s amazing new features and power.